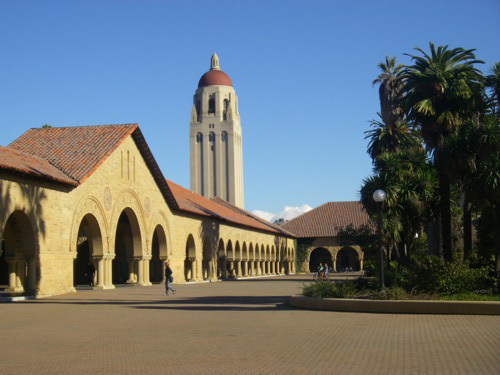 GEL Solutions performed a large 3D subsurface utility engineering investigation to support the design of new hot water utility systems at Stanford University. Stanford University, founded in 1885, is one of the world’s leading research and teaching institutions. Below the sprawling campus lies an extensive network of subsurface utilities servicing nearly 700 major buildings. To reduce the energy used to heat buildings at the campus, Stanford is currently replacing a steam system with a hot water system. Due to the vast amount of existing utilities, the challenge of this project was to find underground corridors of space between layers of utilities so that the installation of the piping system can progress without major changes during construction and without damaging existing utility systems. Approximately 10 miles of roadway and common areas were investigated with Computer Assisted Radar Tomography, Ground Penetrating Radar and Radio Frequency Electromagnetic pipe and cable locators to determine the horizontal and vertical locations of underground utilities. The identified utilities were surveyed and mapped in 3D using AutoCAD Civil 3D software. At the conclusion of the project, GEL Solutions provided comprehensive 3-D maps showing all detected utilities with their respective elevations. These maps aided the client in determining the best possible route for the new hot water utility system and preventing costly damage and relocation of existing utilities.